FAQs - Your Wedding. Your Way. ​How and where do we get a marriage license? Your marriage license must be applied for, in person, by both of you. The license issued by any Arizona county clerk's office can be used anywhere in the state of Arizona. The fee is currently $83. ​Visit your county clerk's website for more info. ​*NOTE: There are 3 additional offices. *NOTE: There are 3 additional satellite offices. To see other Arizona county clerks' pages, do an internet search with this term: "your county + AZ + county clerk + marriage license". ​Will we need blood tests? No. The state of Arizona does not require blood tests. ​Is there a waiting period? ​No. There's no waiting period requirement in the state of Arizona. The marriage license will be issued on the day of your application. ​For how long is the license valid? The license is valid for 12 months from the date of issuance. After that, the license will expire and you'll need to re-apply and pay the license fee again. ​Do we need to have witnesses? No. Arizona does not require witnesses to sign the marriage license. ​What happens to the license after our ceremony? 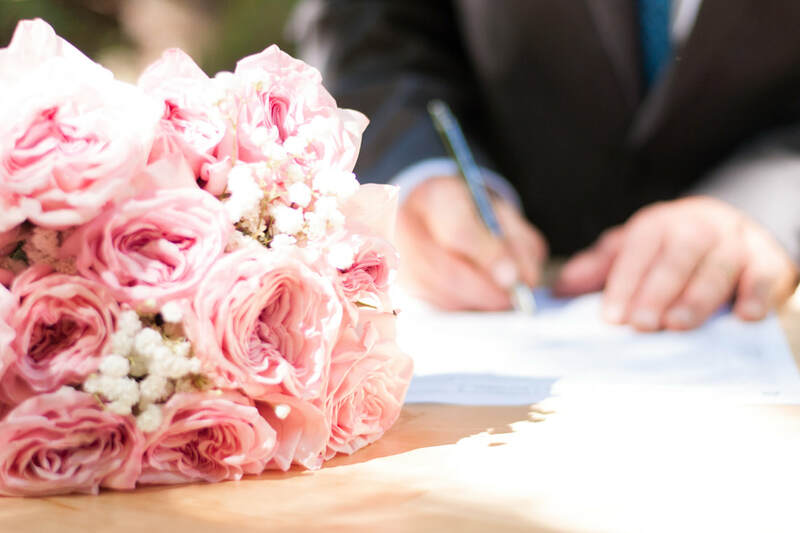 The detachable portion of the license, which is completed and signed by the officiant, is to be returned to the Clerk’s Office for recording purposes. In general, it must be returned within 10 business days of the ceremony date, either in person or by mail. 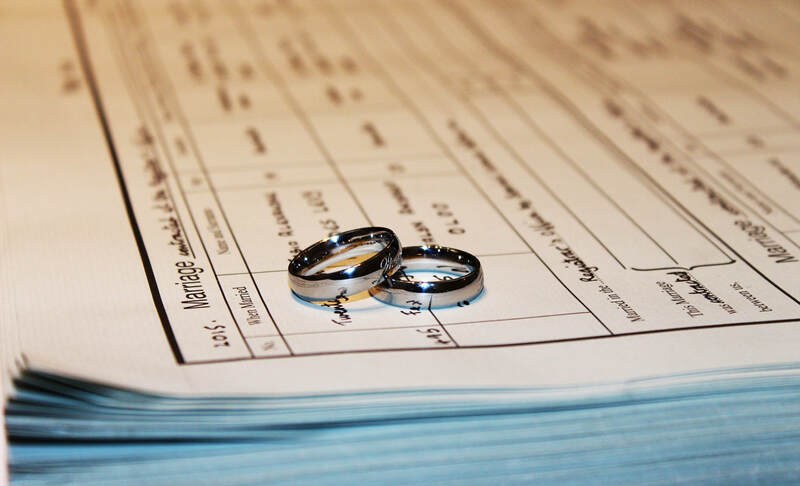 ​How do we get copies of our marriage certificate? You'll need to contact your County Clerk's office to order copies of your marriage certificate, or use their online ordering system. They will not generally send them to you without you first submitting a request. Each couple will vary in the number of official copies needed for subsequent name change requests (bank, driver's license, social security, etc). There are options for you in terms of the type of certificate that you can order. ​Do we, as the couple, sign the license? ​Arizona does not require couples to sign the marriage license. ​However, I usually ask couples if they would like me to sign the license after the ceremony, with them and a photographer, as a photo opportunity. IF ONE OR BOTH OF US CHANGE(s) OUR LAST NAME(S), WHOM should WE INFORM? Make the announcement to friends and family (ideally to your in-laws first). Consider using stationery or thank-you cards with your new name printed on them, or ordering name-change cards designed for the occasion. 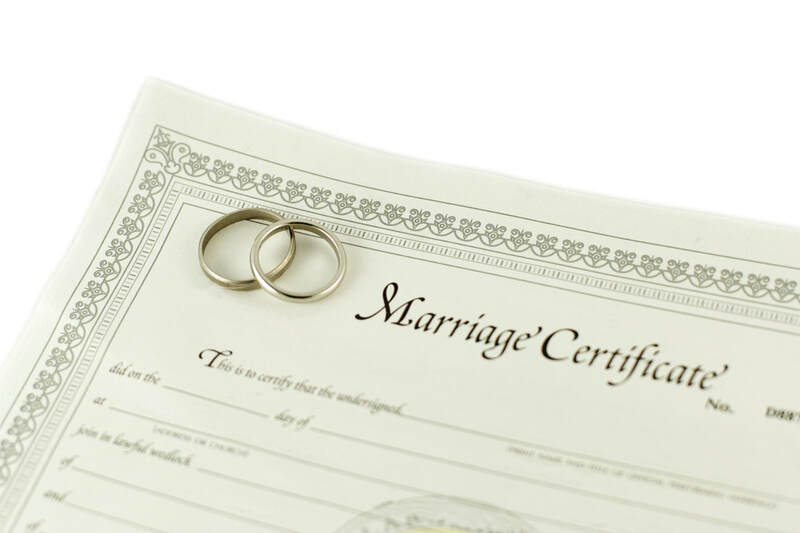 Remember to order extra certified copies of your marriage certificate for agencies that require originals before allowing you to change your name on documents, such as the Department of Motor Vehicles. ​WE'D LIKE SOME FOCUSED GUIDANCE ON Creating A HARMONIOUS, SATISFYING RELATIONSHIP. CAN YOU HELP?